"Your Celebration In Experienced Hands "
Hi there, thanks for dropping by. I'm Kevin & Dj of Viper Discos. I'm a fun, laid back interactive Dj with vast experience in providing quality discos for any occasion. Book me & I will give you a lively party of singing & dancing to your celebrate your event. I provide all modern sound & lighting equipment. Plenty of music available to request on the evening & I always welcome music/playlists in advance. I'm totally reliable & confirm bookings by email. Any messages are replied within a couple of hours. Thank you for reading & hope to see you on the dance floor. Required by many venues, Viper Discos has a current PLI policy with AMP DJ in the amount of £10 million. 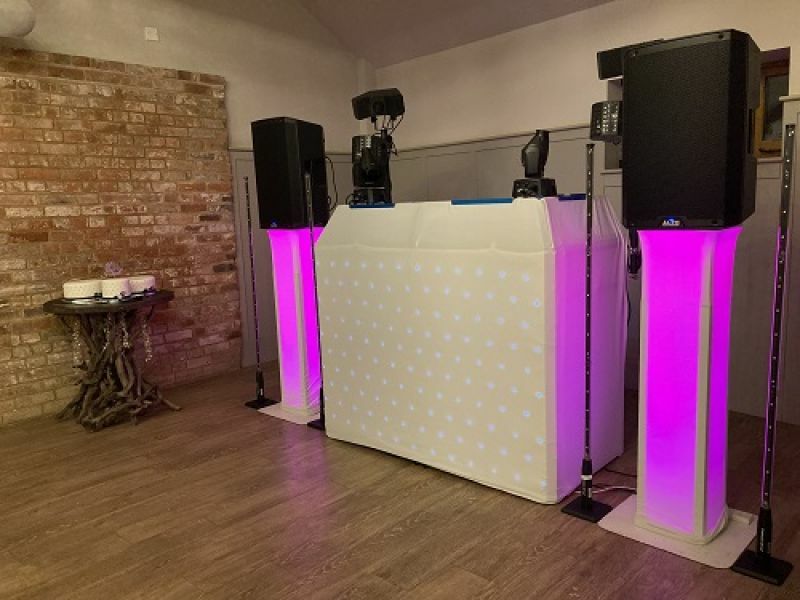 Also required by many venues, Viper Discos has supplied satisfactory evidence of holding current PAT inspections of their equipment dated within the last 12 months. A Method Statement, outlining Viper Discos&apos; Health & Safety procedure for setting up disco equipment has not been supplied. Get FREE no-obligation disco quotes from Viper Discos and other DJs covering your venue. Take 2 minutes to fill in some basic details and we'll do the rest! If you are contacting Viper Discos about an event, it's always a good idea to include the DATE, LOCATION, EVENT TYPE, AGE GROUP and TIMINGS to speed things up!